Hold the phone. Put away that other recipe you were thinking of cooking tonight. Pinterest it for some other day. Tonight you are making this Low Carb Chicken Divan. This scrumptious, creamy, and totally low carb chicken divan recipe rings in at about 6 carbs per serving. In an 8×8 square casserole dish, it makes 6 delicious servings. Cool, indeed. 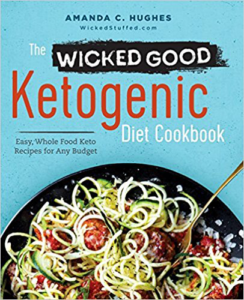 And a super thanks to Deb, who asked me on Facebook, to cook up a keto version of her favorite dish (you can do it too!) In fact, if you have a cooking challenge for me, head on over there and let me know what your favorite dish is, and I’ll try to keto-ize it! Now, like I said, please make this low carb Chicken Divan recipe tonight and let me know what you think. I’m sitting here typing this about ten minutes after licking my plate clean at 9:30 pm because I can’t wait to share it with you! Fill a pot about halfway with water. Add both breasts of chicken. Meanwhile, cook up the garlic and onions in a medium frying pan on a low heat with the ghee. While that’s cooking, blend up your cauliflower using a food processor or a good blender like a Ninja (or better). Do it for a couple seconds just until it looks like rice. After about two minutes of the onions cooking, begin adding in the spices one at a time, mixing them into the onions as you go. When the onions are soft, add the cauliflower. When the cauliflower is soft, add the chicken broth. Cook, covered for about 10 minutes. Check on your boiling chicken. Take it out and set it aside if it’s reached 180 degrees. Add the cream and lemon juice and let simmer uncovered on low for about 10 minutes while it reduces. Mix it a few times throughout so it doesn’t burn to the bottom. Add mayo, mix, and turn off the burner. Begin pulling apart your chicken with a fork. Add half your pulled chicken into the cauliflower cream mixture. Use the other half to line the bottom of an 8×8 casserole dish. On top of the chicken, layer in the steamed, chopped broccoli. Top with the cauliflower cream mixture. Put in the oven for 30 minutes, covered with tinfoil. Remove tinfoil and cook 10 more minutes. This scrumptious, creamy, and totally low carb chicken divan recipe rings in at about 6 carbs per serving. In an 8×8 square casserole dish, it makes 6 delicious servings. While that’s cooking, blend up your cauliflower using a food processor or a good blender like a Ninja (or better). Do it for a couple of seconds just until it looks like rice. For another great chicken recipe be sure to try my “Breaded” Crispy Chicken, Whipped Cauliflower & Lemon Pepper Arugula Salad next. Do you think this is possible in a slow cooker? That’s what I’m doing today. I am a crockpot, pressure cooker person. This is the first time I am making it and I am confident it will be great. Set the temp on low. Yummm. I made this for my lunches this week. I used canned chicken breast instead and it turned out wonderfully. It is delicious and reheats very well! Thank you for sharing! jen_scott So glad you liked it! BethManneIngersoll I think so, you may have to rice the cauliflower in a blender first, though. I’m confused, when you click on the recipe it shows the calorie count at 317? Thank You It was really delicious! What else can you make with this fabulous creamy cauliflower stuff? It’s soooo good!! Just started LCHF lifestyle a month or so ago and wanted to make Chicken Divan, a favorite of ours, and Googled for a Keto type recipe . . . and found yours. Instead of boiling the chicken as I used to do years ago, I’ll use the method taught to me by a friend that is wonderfully quick, easy and foolproof (no guess work). In addition, chicken comes out tender, moist and flavorful every time since it’s not boiled, which causes it to lose tenderness, juiciness and taste when boiled in water. Below are the directions. It looks like a lot of steps, but read through & you’ll see it’s very simple. – Cover with pot’s lid & turn off heat. This doesn’t make sense. You put chicken in a pan and add cold water, then bring to a boil and remove the chicken? Then bring it to a boil again? Or you boil water then add chicken? Or sear the chicken, add cold water once seared and bring the cold water to a boil? Your directions are missing a step somewhere around step 1. I’m assuming you out chicken in a hot pan then cover with cold water….Thanks! we’re not broccoli fans over here and I had spinach that I needed used up, so I subbed that and mushrooms in for those, It lowered the carb count and also when I cooked the mushrooms in with the broth it absorbed the excess liquid. this dish was a definite keeper. ! I am eating this right now. LOL I read the reviews, and so only ended up using about 1 cup of stock. And I added a bit of pesto to it too. I can’t get enough! There may not be any left when my partner gets home. LOL I’ve been missing casseroles. Thank you for this recipe! Oneblueballoon Sorry about that, the recipe has been reduced to 1 cup of stock. This was really yummy. I didn’t have any broccoli so I threw in leftover sauteed kale and half a bag of frozen kale, and it was really good, like creamed spinach almost. I threw in a bunch of cheese into the sauce and that helped thicken it up also. 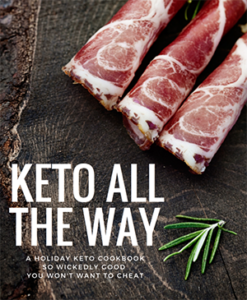 Great keto recipe, thank you. So delicious! Thank you. I’ve tweaked it a bit for our own tastes and dietary limitations but thank you so much for putting in the effort! Gave me a fantastic place to start. This recipe is unspeakably good. Nevertheless, I must speak of it. I made this tonight with canned tuna instead of chicken. I’ve been craving tuna casserole for a long time (low carb for 5 years), and this recipe did the trick! It’s delicious. I followed the recipe as stated except I used 3 cans of tuna in place of the chicken. Yum! Used three chicken breasts and 9×13 pan and it was a perfect recipe! My hysband loved it. Took leftovers for lunch next day. So yummy melted in your mouth. Thanks for a wonderful looking recipe, want to make with leftovers, so will increase the ingredients somewhat. I’m not sure if you know the answer to this, but if the Cauliflower has already been “riced”, how many cups would you say? Our local produce department sells the finely diced / chopped cauliflower, and have used this before for a “risotto”. Thanks for any feedback! Do you happen to know what the nutritional information would be for this recipe? I made this tonight for dinner and it is wonderful! Chicken Divan is a family fave and we’ve been trying to cut the carbs and fake food like canned soup. Our family recipe always had curry in Chicken Divan so I added 1 1/2 teaspoons of curry to the sauce in this recipe. Otherwise I followed the recipe and we LOVE it! Thank-you for sharing! I made this with tuna and it turned out very much like ‘tuna noodle casserole’ from the old days when I was still eating toxic carbs – haha! I’m so grateful for this recipe because for a very long time, I had been looking for a casserole that could replace it. This is it! Thank you. Tip: I use preground ‘riced’ cauliflower from Whole Foods. Saves so much mess and time. I’ve made this recipe several times and absolutely LOVE it. I’ve adjusted the broth/cream, but still comes out soupy. However, adding some parm cheese until I get the consistency I like usually does the trick. Plus adds an additional layer of flavor. Hope that helps. Well no feedback, so to anyone else interested, I used about 4 cups, maybe a bit more of riced cauliflower. Used more chicken and cheese. I used 1/2 cup broth and 1/2 cup good white wine, but for a 9×13 pan. I think it would be too soupy for the smaller 8×8 size. How much pre-riced cauliflower did you use? Barbjean94 Thanks for this great tip! So.good. That’s about all I can say. Yum. Haven’t been on keno long. Best thing going. Thank you, wickedstuffed! I came across this recipe last night while searching for ideas while on the induction phase of Atkins. I took you for your word and decided on this recipe as a began to read it. I’m glad I did! Simple and flavorful, this will be a go to recipe for years to come. I only made a few changes on the fly: I boiled the chicken in broth and added green beans to the broccoli. (I think next time I may add mushrooms as well.) I upped the broth and cream a bit, used a larger casserole dish and topped with a three cheese mix. Wow, this casserole recipe makes for a heavenly dish for any low carb enthusiast. I was so hungry after preparing this meal right after the gym that after my helping I ended up eating all the chicken and cheese off the top. While still warm I threw a couple of cans of chicken on top and covered with the rest of the cheese. The warm dish melted the cheese before putting in the fridge. Reheat was fabulous! I will look forward to another few meals out of this casserole. You get two thumbs up from me! I signed up and look forward to exploring your other recipes. I’d use thighs instead and olive oil mayo! Going to give it a shot tonight! I had the same problem. I doubled the recipe and it was very soupy. But still delicious! Can I use frozen cauliflower rice? Does it need to cooked longer or reduce liquid? Made this for dinner since I’m trying the lchf lifestyle, which I love btw. I bought cauliflower ‘rice’ at Trader Joe’s and shredded rotisserie chicken from costco. Those two alone made this recipe super easy. I steamed my cauliflower ‘rice’ before the cooking process (just my preference), and used frozen broccoli florets. I used whatever cheese I had in the fridge, which happened to be sharp cheddar and some monterey. Thanks for sharing this recipe!!! Oh. My. Goodness. Soooooooo good!!! CHIPOTLE MAYO!!!!! Oh my goodness, what a great flavor that adds. Also, used the steamed broccoli and cauliflower bags that helped speed the cooking time of this dish during a work night! So delicious. I made this tonight, and it was delicious! I used the frozen riced cauliflower from Trader Joe’s. I also forgot to add the mayonnaise, so maybe that’s why it turned out a little watery? Not a problem, though, because I’ve got tons of leftovers for the week and stuff always dries out in the fridge. So, I followed the recipe and all but ended up with a drier version of it. When i cut into it the creamy texture was no where to be seen. What do u think i did wrong? Can i still save it? Tasted great, but uses every pan in the cupboard. Also, I recommend giving an approximate time to boil the chicken. I was guessing, since I don’t have a meat thermometer, and overcooked mine a little. Just made this for dinner. My wife, our 2 boys and I gave it an “A”. I haven’t told them there’s cauliflower in this yet since they won’t eat it. Ha! It was a little soupy, but scooped on to a plate, the excess water stayed in the casserole dish. It’s kind of a long process for a week night, so I’ll double the recipe next time so it will be 2 dinners! I have read that Edam Cheese and Mimolette Cheese are both good substitutes! Do you have the macros for this recipe? Thanks!! I’m seeing the photos but not the detailed recipe. ? I am JUST starting this low carb thing, since I was recently diagnosed with Diabetes 2. I rtied this last night.. and this was DELICIOUS! Thank you! Absolutely delicious! I did cut down by half the heavy cream and increased the mayo (figured that it would help thicken the sauce). I also put half the cheese into the sauce for the same reason and the other half on top. A couple shakes of smoked paprika in the sauce and on top enhanced the flavor even more. This did require a lot of pots and pans. I will probably microwave the broccoli and the rice next time and layer it in pan. I also added mushrooms. Definitely a keeper. Can leftovers be frozen for another day? I would like to make ahead and portion it out for lunches. Just wondering how the mayo and heavy cream would react. I was searching for a low carb turkey casserole recipe and that’s how I found this site and this recipe. I had left over rotisserie turkey I wanted to use up. I really love this recipe, and it really keeps my BG numbers in good range too. So, my substitutions were: turkey instead of chicken; lime juice instead of lemon; I didn’t have chicken stock on hand, so I dissolved a cube of chicken bullion into a cup of the water used to steam the broccoli (get all those nutrients!). My family also really liked this dish. It was very reminiscent of turkey/rice casserole. There were hardly any left overs! I see someone made this using canned tuna – I think I’ll try that next. Looking forward to trying many more of your recipes! Thank you for sharing. Can you tell my the # of fat grams in this please? Can you please give me the macros for the low carb chicken divan? Ok, I’m reallllyyy lazy. I sliced up thawed chicken breasts and browned them in a cast iron skillet, removed and added onion an garlic. Then added the cauliflower rice, tons of garlic salt and pepper, stock, chicken base and cream. Simmered until bubbled, threw the chicken back in, added fresh, uncooked broccoli, mayo, mixed it up, topped with cheese and baked directly in cast iron pan until melty and bubbly. Only one dirty dish. Tasted great. Will make again. Thanks for the great recipe! Where is the recipe? All I can see is the intro and pictures – but no list of ingredients, steps, etc. So frustrating! Hello – it looks wonderful! Could you please tell me how much chicken by weight as I will substitute turkey breast? This stuff is good!!! I used Costco’s rotisserie chicken packaged chicken breast, because I had some. My husband, who complains pretty much every time I give him chicken, actually loved it, and went back for more. It is so filling, and a real stick-to-your-ribs meal, perfect for the cool weather. This recipe is a keeper for sure! I happened upon this recipe whilst looking for low-carb ideas for a leftover turkey casserole. Divan was a favorite dish that my Grandmother made, and though I usually make a recipe exactly as per instructions the first time, I know I can alter a couple things to evoke those tasty memories! She used poached asparagus, and dry sherry and curry for seasoning. Can’t wait to try this tonight with turkey. Thanks for sharing this! This is a fabulous recipe! I make a double batch and freeze it in serving sizes for meal prep. It reheats beautifully! Quick question – has anyone made this in a crockpot and did you throw all the ingredients in raw? I would love some tips with this. I LOVE this meal! 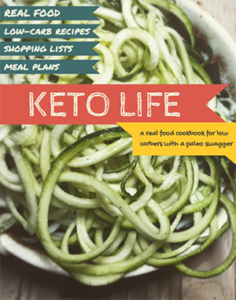 It is my favorite keto recipe ever and I would love an easier way to make it. I’ll try to make a slow cooker version! Really good recipe but it is missing something. I added a little curry powder and bumped up the garlic salt a bit and it really brought all the flavors together. yes, adding curry and a bit of cayenne really made a good flavour. Thanks for the suggestion. Going to try it today. I see you said that we could ask about other dishes we love. I love Greek spinach pie. Would you be able to fix it so it could be used on a low carb diet? Great suggestion! I am up for the challenge! 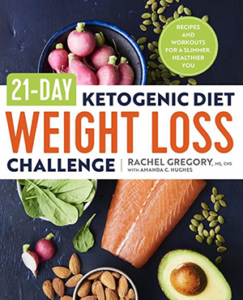 My favorite keto recipe ever! I’ve made this maybe 3-6 times and it’s always a hit with the whole family – even the “ew cauliflower rice?? !” teenager…she didn’t even realize at first that it wasn’t white rice until I told her afterward. Thanks so much for this awesome recipe!! Of all of the keto dishes I have had in the last 6 weeks, this is my absolute favorite! Thank you! Made tonight and everyone loved it! Will double up recipe next time to serve a family of 6. I used the serving of 6 and there were NONE leftovers. Definitely a family fav! Very tasty recipe, I couldn’t stop tasting the sauce (slurping), even though I was making it for my son! Thanks. Made on Sunday but added some sour cream as I saw that in other recipes. This was amazing. Very rich, yummy, decadent and everything you could ask for. Thanks for a wonderful recipe. Just got finished making/eating this and while edible, it was bland and soupy. Followed the ingredients noted to the letter but still felt the need to try to reduce the cauliflower sauce mixture more then the recommend time, because I just knew by eye it was too much liquid. *Then* I had to increase the heat and time on the last part of the cooking process because it was just pooling with liquid, that never really cooked out. The cheese just barely got browned before I said enough is enough. I may make this again, but I’m going have to give some thought to the seasoning and how the steps are completed. I’ve had better luck in the past steaming the cauliflower before smashing it into rice, and broiling boneless chicken breasts. I’ll probably start there. Yum!!!. We eat broccoli and chicken all the time! This is a fantastic way to prepare it. I loved it. Thank so much.